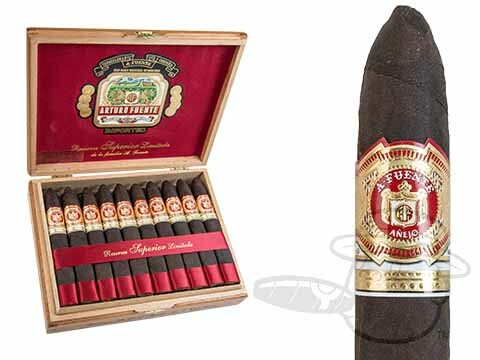 Arturo Fuente Anejos are essentially the Maduro-wrapped equivalent of the famous Opus X blend. Also known as the "Shark," the Arturo Fuente Anejos #77 is the rarest of the Anejos line. The unique shape of this cigar sets it apart from the rest; the foot is box pressed, and as the cigar tapers into a torpedo, it gradually becomes round. Hard to get, but worhth the wait, very tasty and satisfying smoke, wont be disappointed. Arturo Fuente Anejos Shark #77 is rated 4.6 out of 5 based on 1 customer ratings.